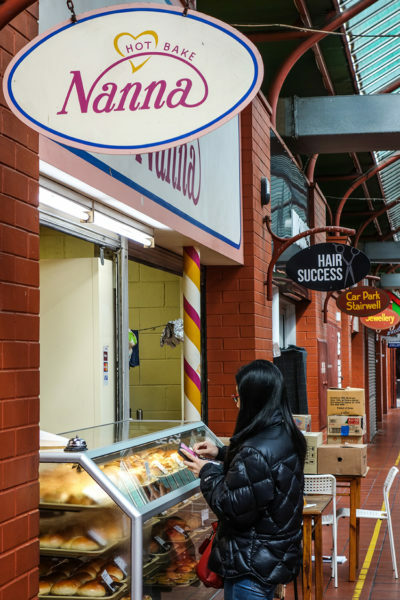 Despite confusing locals when they arrived in the late ‘80s, Nanna Hot Bake’s glossy buns are now a Central Market staple. 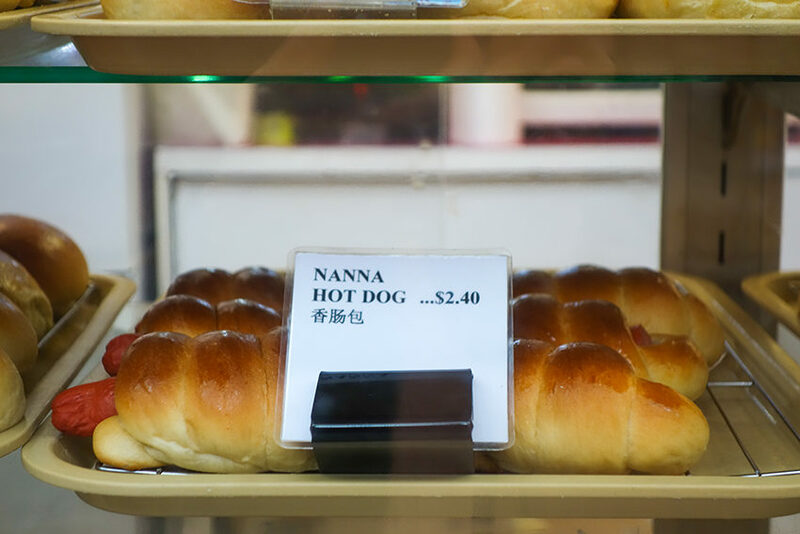 Amid overflowing souvenir and jewellery shops in the breezeway connecting Central Market Plaza and Moonta Street, there’s an often-fogged-up cabinet teeming with warm, glossy buns. 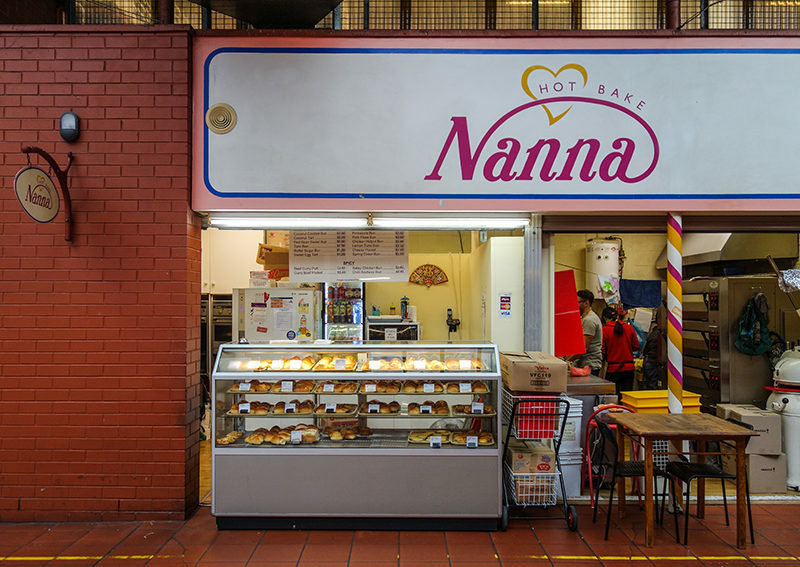 The above sign – “Nanna Hot Bake” – says it all. Nanna (aka Pooi Ying Lam) migrated from Seremban in Malaysia to Australia in the mid-‘80s. She took over Nanna Hot Bake from her sister, who had been running it for a year, in the late ‘80s. Nearly 30 years later, she works part-time. “She can’t stay away!,” quips someone from behind the oven. When The Adelaide Review visits, Nanna’s just left after an early morning. 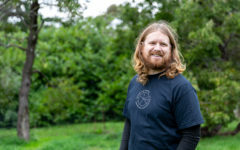 Her son Robin and his wife Meta – “the second generation” – hold down the fort. Around 2:30am – while most of us sleep – the oven (and team) fires up. At 9am there’s still a handful of people working busily in the pint-sized open kitchen. We’re surprised to learn it churns out between 500 and 2000 buns daily. “The buns themselves are definitely brioche style, but maybe a little bit sweeter than the traditional brioche you’d find elsewhere,” Meta says. 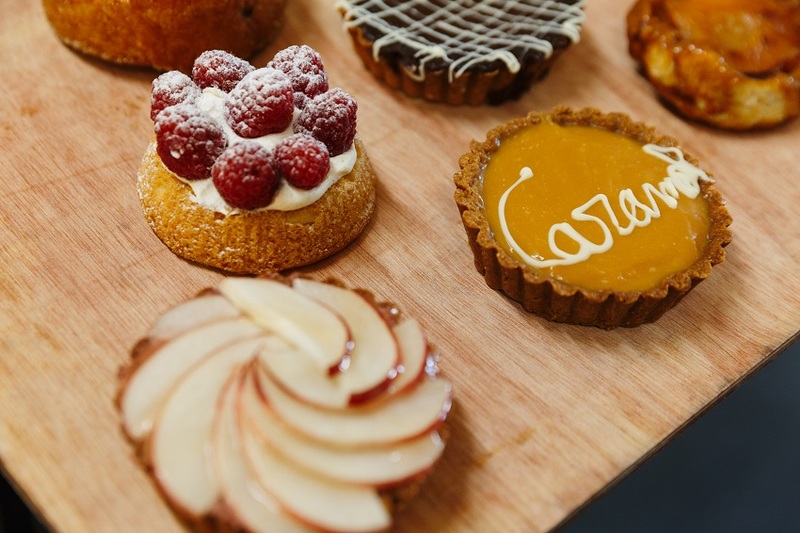 The cabinet is lined by 22 variations – listed on the menu under sweet, savoury and spicy. 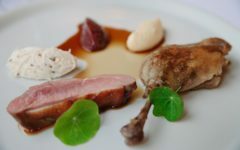 “A lot of [the menu] has stayed the same since day one,” says Meta. And rightly so. 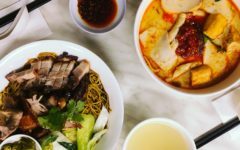 On the savoury front, “people can’t get enough of the beef curry puffs,” Meta says. The same can be said of the brioche-enveloped hotdog, especially if you ask anyone under 12. The best part? The prices. 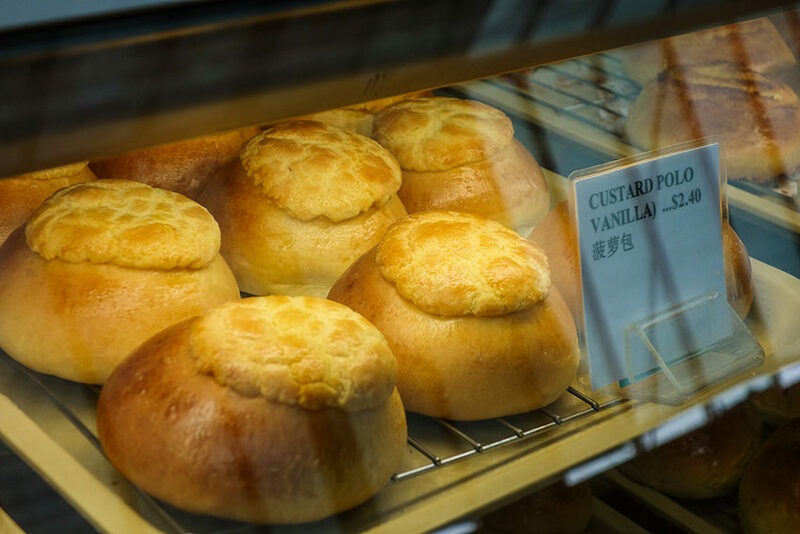 In most cases, you can grab a savoury and sweet bun for a fiver. Wholesale is a big part of the team’s early-morning call time too. 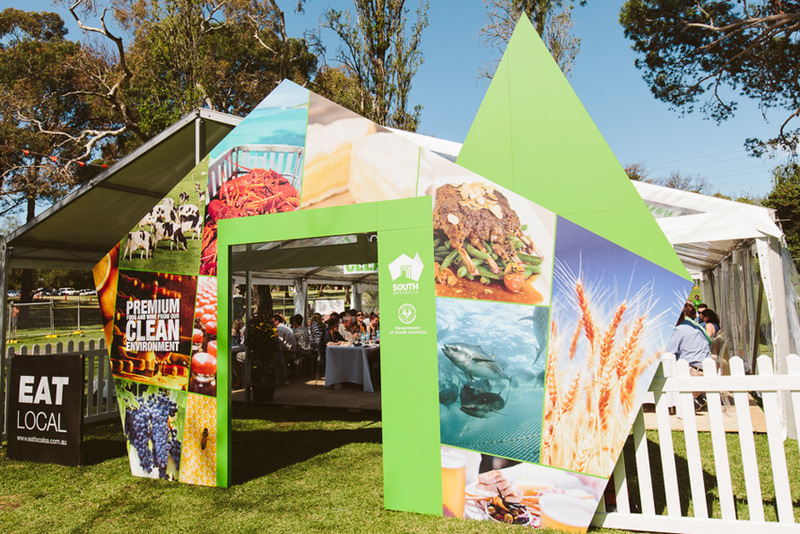 Beyond the Market, Nanna Hot Bake’s unfilled brioche buns become sliders at a number of Simon Kardachi’s restaurants including Press* Food & Wine and The Pot by Emma McCaskill, as well as at North Adelaide burger joint Chuck Wagon 175. During our visit, Meta excuses herself a few times to serve regular customers. She knows their faces and their orders almost instantly.